Some prefer a mountain backdrop, others prefer an endless beach – no matter what your preference everyone can appreciate a room with a view! We’re listing some of our favorite, jaw-dropping vacation rental views today. The best part? 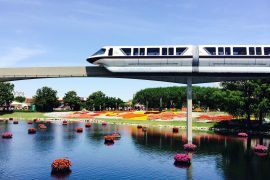 All of these rentals are available to book right now on FloridaRentals.com! So sit back, relax, and enjoy the views. About the rental: Everyday is a vacation at this luxury amenity-rich high-rise community. 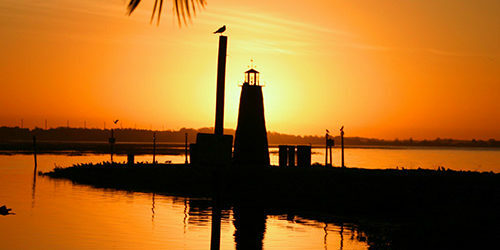 Beautiful views of Sanibel Island and the Gulf of Mexico. 3 bedrooms and 3 full bathrooms. 2 suites with bathrooms and one office guest room with Murphy full size bed. It has a 25-acre Lake Mastique serves as the centerpiece of this enchanting community. This Mastique condo includes parking garage and an enclosed storage area. Mastique amenities include a clubhouse, fitness center, yoga/dance studio, pool, spa, barbecue, zen garden, tennis, walking paths, boardwalk, fishing pier, boat launch, sailboats, kayaks & canoes. Residents enjoy the miles of bike paths along Summerlin Road and biking access to the trails on Sanibel Island. About this rental: From the second floor of this 6 Unit condominium building the views are incredible overlooking Boca Ciega Bay. Catch the manatees as they meander through our large cove while the dolphins perform tricks. 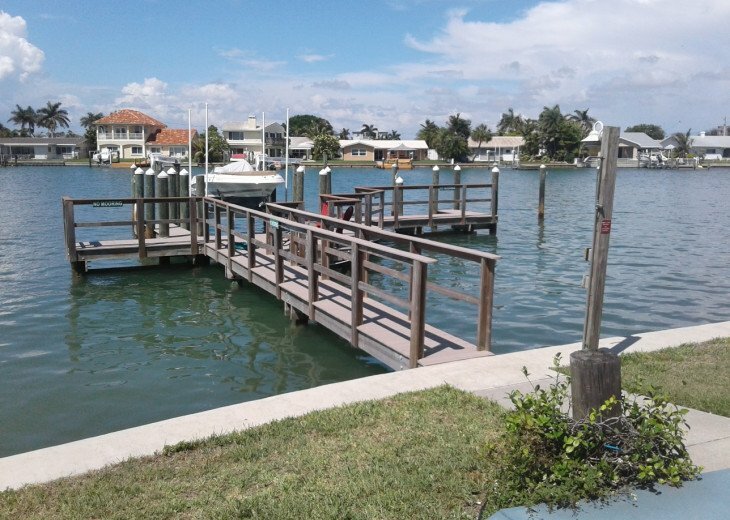 The pelicans are constantly fishing off the dock where we have a private boat slip available for your use. The owners have furnished this home in cottage-style with new furniture, all appliances, kitchenware, towels and linens, and stainless steel appliances. this two bedroom-two bath unit has a washer and dryer, a queen-sized bed in each bedroom, central a/c and ceiling fans in each room. A large flat screen TV in the living room and a flat screen TV in the master bedroom along with wireless internet provide fast, sharp service and easy connection. Now, back to the view… you can eat all of your meals out on the screened porch where you can totally relax and enjoy the spectacular view. 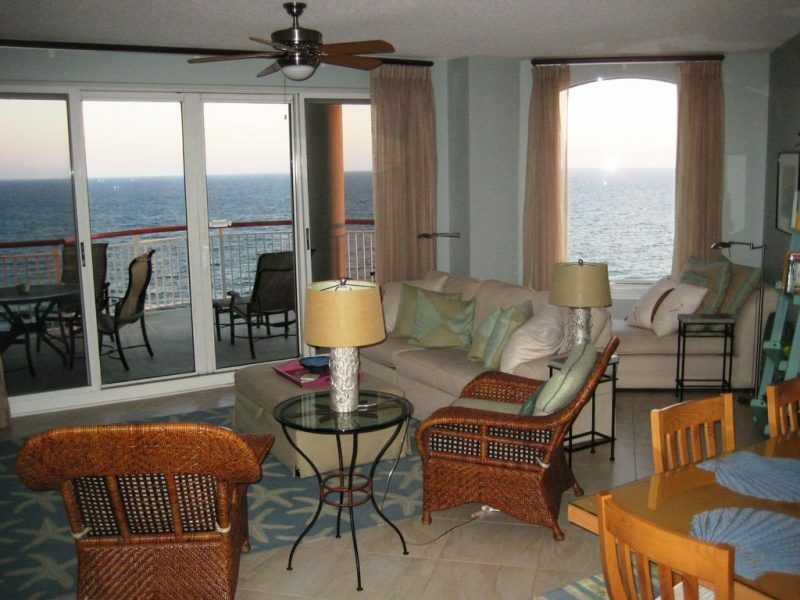 About this rental: Direct Beachfront Condo, 3 Bedrooms, 3 Baths-40 ft Balcony -Beach Service Included! The condo is on Holiday Isle which is right next to Destin Harbor and close to all attractions in Destin as well as being right on the beach! 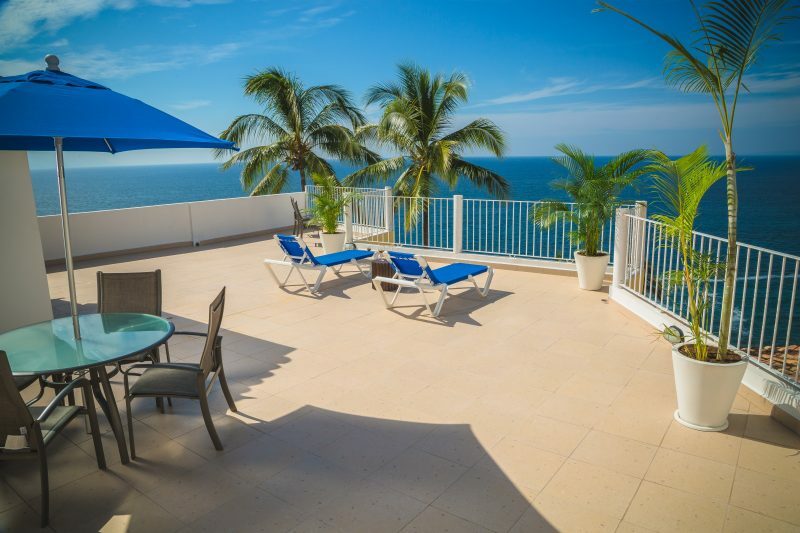 This Oceania condo #504 overlooks 574 feet of private sugar white sandy beach shared by only 71 deluxe condos. 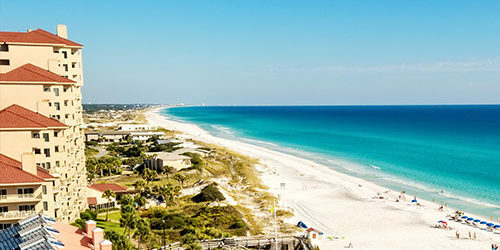 Oceania has one of the largest square foot of beach per unit in Destin. 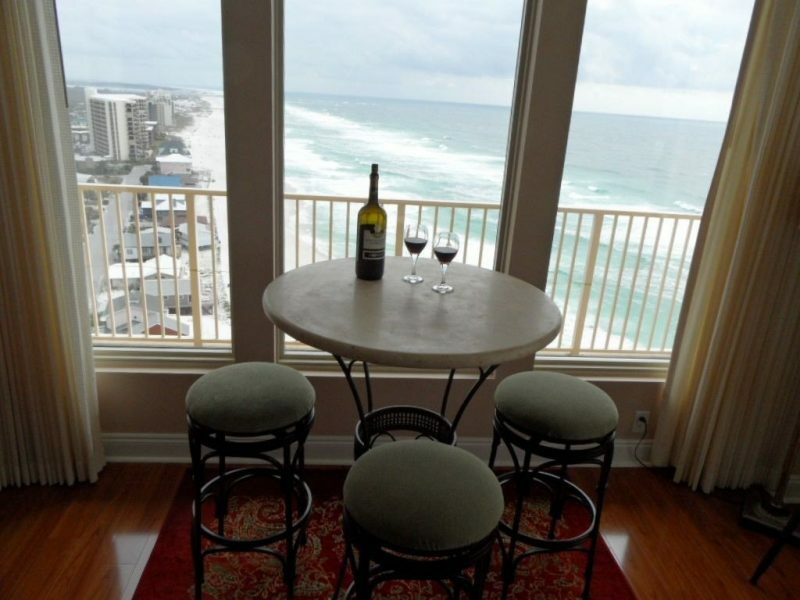 The condo in located in the heart of Destin on Holiday Isle. The private gated property provides reserved covered parking. 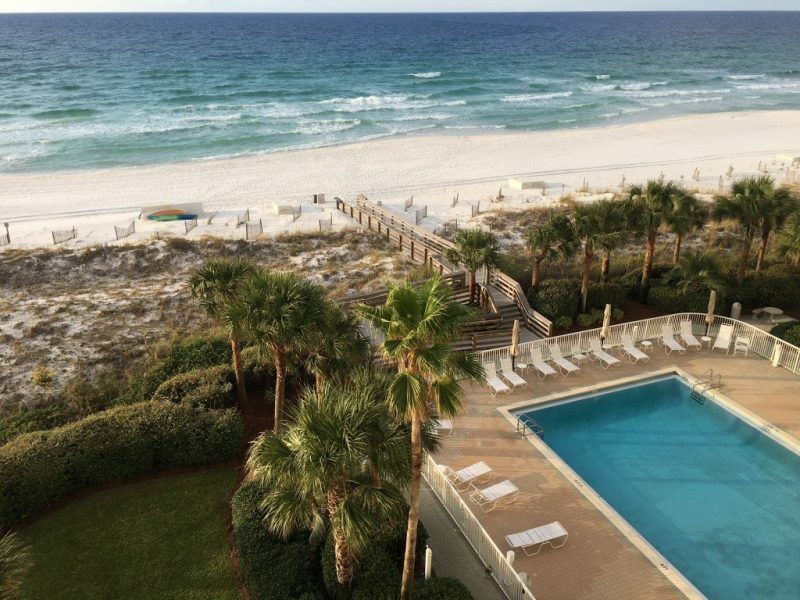 About this rental: Enjoy the beautiful white sand beaches, the flawlessly clear blue water, and the fabulously one of a kind atmosphere of Navarre Beach in this recently renovated 15th floor luxury condo. The condo is in the East Beach Colony Resort tower, located directly gulf front on the sands of Navarre Beach. The Gulf Islands National Seashore (our beaches) was voted the Best Florida Attraction by USA TODAY readers. 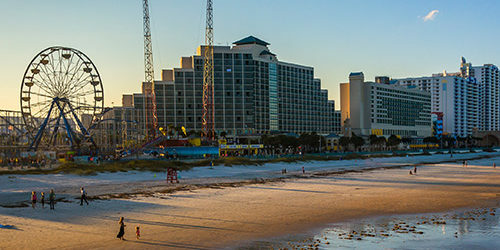 The tower sits right on the beach so you can take in views down the beach, while the West Beach Colony tower sits back behind the pool and looks at the backs of the other buildings like ours. Step out onto the over-sized balcony or simply look out the window in any of the rooms to enjoy breathtaking views of the Gulf coast. One minute on the balcony during sunset and you will realize why you needed to come here. Many of the Beach Colony views in both towers are now obstructed by other buildings or sitting back behind the pool and getting views of the backs of the other buildings. This view is absolutely magnificent! About this rental: Our property is right on the beach. Take the elevator down and you’re on the beach. The views are amazing as you can see in the pics. 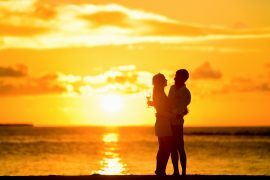 Sit on the lanai for breakfast and watch the activities on the beach, or have a glass of wine and watch the sunset. It’s a 2 bedroom, a master bathroom with a shower and the guest bathroom has a bathtub. The master bedroom has a King bed, the guest bedroom has a Queen bed. There is one twin aerobed. 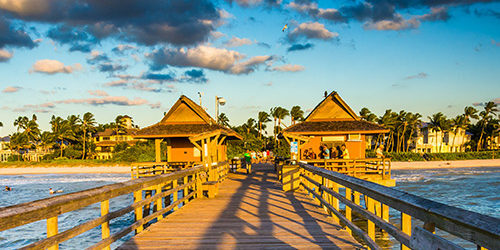 Siesta Key is an island off of Sarasota. You can stay on the island for all of your needs as it has restaurants, shops, Olaf’s ice cream!, a grocery, etc. Walk to the market or restaurant. Walk to the public beach which also has pretty good food. There are free taxis that will take you to the village (on Siesta Key) for more shops and restaurants. About this rental: This three-bedroom unit is on the eastern end of the most eastern high-rise building at Panama City Beach. 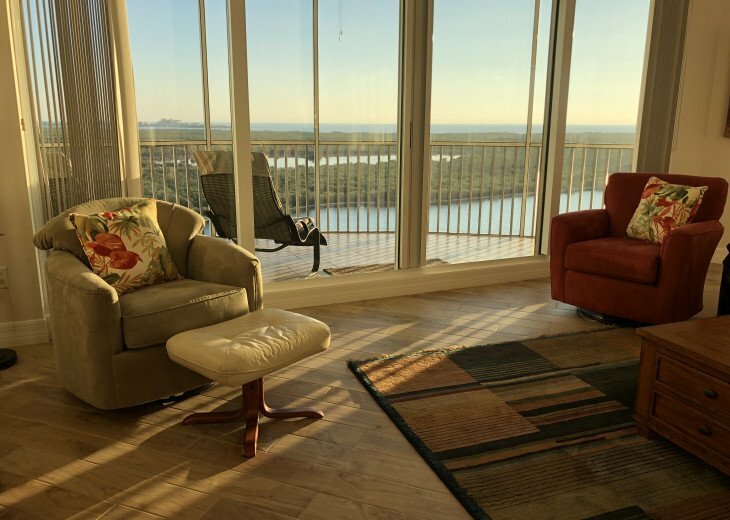 This location and the high level of this unit provides what everyone describes as the very best views at Panama City Beach. 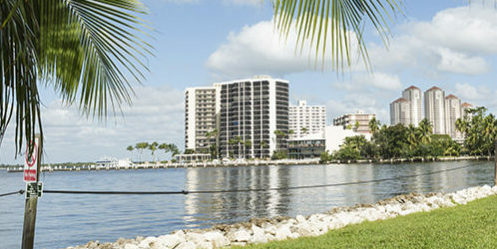 The building is uniquely angled 15 degrees to the west allowing striking views of over thirty miles of Gulf of Mexico beachfront. 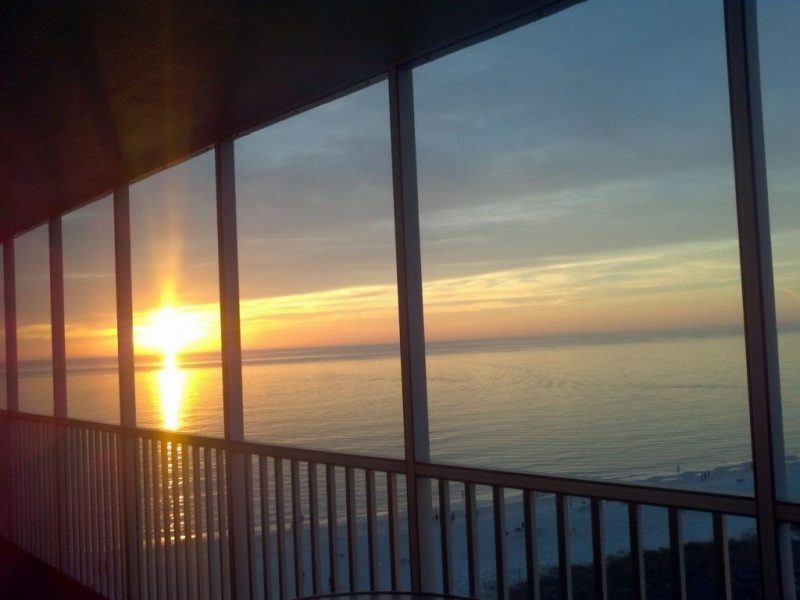 The nearly 330 degrees of panoramic views from the balcony on this 17th floor condo are unmatched at Panama City Beach. Whether looking east to St. Andrews State Park and Shell Island or west to Destin there are no obstructions to hinder your view. Between these extremely inviting crystal White Beaches there are unlimited expanses of the Emerald Waters of the Gulf of Mexico. Four sliding glass doors and two large three-paned window sets offer views from inside this spacious condo which are described as awesome, magnificent and breathtaking by all who have enjoyed them. There are 145 feet of continuously surrounding balcony. Forty-five feet are on the Gulf-facing southern side. Another sixty-five feet of balcony continues on the eastern side facing St. Andrews State Park and the jetties at the entrance of St. Andrews Bay. This exceptional panorama continues on the northern side with views of the waters of the Grand Lagoon, the fleet at Captain Anderson’s Marina and reaches from the Hathaway Bridge to Panama City and westward to the new Beaches International Airport and beyond. Be sure to bring your camera! Photo opportunities abound here from the sunrises to the east to sunsets in the west and everywhere in between. The picture possibilities never end. 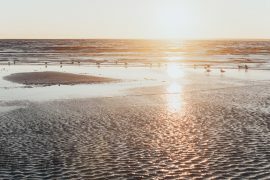 Whether on the beach, in the water or in the air there is always something worthy of remembering.